This post shares the latest information on the LG L16C Lucky and includes our review and comparison to other available devices. We hope this information is helpful, and will continue to update as more details become available. Another new Android device is available for use with Tracfone, and it is the LG Lucky, also known as L16C. This is an android powered device that is for use with Tracfone prepaid service. Tracfone sells both prepaid cell phone service, and cell phones to use with their service at fairly low prices. The phones available through Tracfone are not the latest options, but have enough features to satisfy most users. For those who demand a lot from their device, consider learning about Tracfone 4G LTE service which allows you to use top of the line Android and Apple devices. The LG Lucky is the latest in a growing selection of smartphones that Tracfone continues to deliver since their first meager offering back in 2013 (do you remember the LG Optimus Dynamic?). You can see for yourself on our Android Tracfone List. Phones have slowly improved over time, with several devices sporting 4" or greater screens, better processors, and more memory. The LG Lucky, while not at the top end of available phones, is a solid contender and compares similarly to the Samsung Galaxy Stardust and LG Optimus Fuel. The LG Ultimate 2 would be a good choice for those looking for a larger screen. We can see straight away that the Lucky has a smaller, 3.8" screen. For most people, this is a big drawback. But some consumers would prefer a smaller device. Some of the other notable features include a 1.2 Ghz dual core processor, and Android 4.4. Let's get into the full list of specs and features on the LG Lucky. These are the current features available on the LG L16C Lucky smartphone. Size: 4.43" x 2.50" x 0.49"
There are a couple of features that stand out on this device, such as the processor and internal memory. We also like that it has Android 4.4. Let's get into our review of the LG Lucky to give a better idea of how the device compares to other phones. Straight away we find that the Android 4.4 KitKat is a great OS to use. It is compatible with an extremely wide variety of apps through Google Play that give the LG Lucky many additional uses. You can take a look at our List of the Best Android Apps for some ideas. The LG L16C also has a 1.2 Ghz dual core processor, and 512 MB of RAM. This is better than Tracfone's original Android offerings like the ZTE Valet, which means the Lucky will be faster, and able to handle apps better. However, modern smartphones are now running with at least 2 GB RAM, and often quad core processors. If you're planning on being a heavy user, especially with games, you may want to look for a more robust device. While the size, at 3.8", might turn some people away, we find this is a convenient size for those who don't want to do much on their phone beyond talking and occasionally texting or checking email. If you do plan to do more than that, a 4" screen or larger is just much more convenient. We have confirmed the Lucky comes with 4 GB of internal memory which is enough to store a variety of apps, but don't go overboard. You can use up to a 32 GB external SD card with this phone, and it even comes with a 4GB card which is great for loading some music or videos on. The battery life on the LG Lucky isn't as great as some devices, especially the Moto E, which has a very nice battery life. The LG Lucky will use Verizon towers through Tracfone's prepaid service, so be sure to check what the service will be like in your area before buying the phone. Android phones split minutes into three separate pools of Talk, Text and Data. The camera on the Lucky isn't very impressive, and it doesn't appear to have a front facing camera either. Overall, the LG L16C is a versatile, average performing Android device that might be right for certain people. Starting at just $60, it is a lot easier on the budget, but you might be better off with an LG Optimus Fuel which shares many similarities, but can be found on Amazon for $30. The LG Lucky is very similar to several other Tracfone devices including the LG Optimus Fuel, and Samsung Galaxy Stardust. Indeed, these phones share many of the same features with only slight variations such as screen size or memory. The LG Ultimate 2 is a little ahead of the LG Lucky in performance and screen size, plus the Ultimate 2 has a nice amount of Internal Memory. The Lucky is recommended over the ZTE Valet, LG Optimus Dynamic, Samsung Galaxy Centura and Unimax Max Patriot phones. These phones are all a bit too old to be very useful anymore. We are excited to share that it appears that Tracfone may also releasing several more phones, including the devices for use on GSM networks. These devices are the LG L15G (same as the LG Lucky, but for GSM) LG L22C and LG L21G. The LG 22C and 21G are the same, but for CDMA and GSM respectively and will feature Android 5.0. No word on when these will be released, but we will keep you updated! Read up on our GSM vs CDMA comparison if you aren't quite sure what this all means. For a full list of phones, check out our Cell Phone Reviews page. The LG Lucky is now available from a variety of sources (when it was first released, it was only available on the Tracfone website). And you can also find it in many retail stores, such as BestBuy, Walmart and Target. You can find plenty of cases and covers for the LG Lucky on retailers such as Amazon and eBay. Here are the LG Lucky Cases we've found on Amazon. You can also take a look at the interactive tutorial for the LG Lucky. The LG Lucky is another stop in Tracone's slow progression of Android devices, and it offers some nice features, but we hope Tracfone continues to bring us more modern smartphones. Thanks for visiting and we hope you found this information useful. Follow all the latest info and join over a 1000 other fans on our Facebook page where we share the latest news, blog posts, deals and other stories. You might also want to check out our Tracfone BYOP page which contains the latest information on brining your own phone to use with Tracfone. If you have questions or thoughts, be sure to leave a comment below, and also check for information posted by other readers! 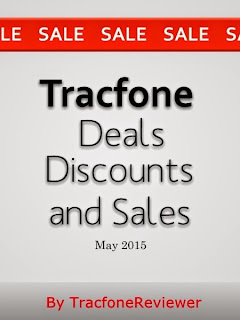 Collected below are some of the best discounts we've found from around the web for Tracfone devices and minutes. We hope you save some money! There are many different places to buy Tracfone devices and minutes, including online, in stores, and even directly from Tracfone. And Tracfone items can often be found at lower prices in some places. With all these different sources, it can be hard to know which offers the best deal. How can you know if you should buy a phone you like from a certain source? Well we are here to help share some of the greatest deals collected form the internet and listed below. These are some of the best prices or package deals we've seen, and are happy to pass along these savings to you. We ask that if you know any other great deals, that you share them in the comments as well! Many of these deals are for the newer, Android powered smartphones that Tracfone has been selling more and more of. These phones have powerful features and can do many things. But they are not all equal, and you should understand the differences. For a quick comparison, visit our Android Tracfone List, which has each phone and some basic stats for it. You should also look at our post on the Best Tracfone Device if you want to know our top choices. Tracfone has also recently started allowing 4G LTE Devices on their network, creating the potential for many top of the line devices to be used with their inexpensive prepaid service. Follow the link to get the full story. Well, let's jump into these discounts that we've tracked down to share with you! Beginning with some minutes to get you through the year! To start this off, Tracfone is offering $15 off their 1 Year/ 400 Minute Card. This brings the price down to $85 (although you may have to pay some significant taxes). This is a pretty good price, as minutes are rarely discounted very much. 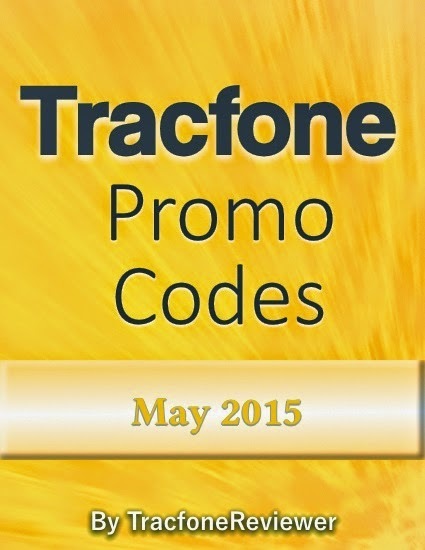 Plus, if you are using a non-Android device, you can get 250 bonus minutes from our Tracfone Promo Codes. The code for $15 off is 99138 and you enter this at checkout on the Tracfone website. However, you can also find similar prices for the 1 Year card on eBay from a variety of sources. Many of these sellers will mail you the PIN, but some will actually email you the PIN so you can input it faster. We haven't tried all of these sellers, so we can't verify every one, but many users have found that buying through online retailers like Amazon and eBay is a good way to save some money. Do a little of your own research, and hopefully save some money on minutes! With Tracfone adding 4G LTE service to their BYOP program, it opens the door to some really impressive phones, but also some fantastic deals like this Moto X 32GB Android. This phone comes with a nice 4.7" display, 2 GB of RAM, a 10 MP camera, and 32 GB of storage space. There is also a newer version of this phone, but it is a bit more expensive. At a little under $250, this is a great value, especially if you're in need of a lot of internal memory. 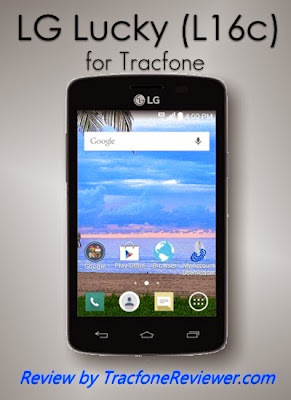 The LG G2 is another device that could be used with Tracfone 4G LTE BYOP. This phone might be even more impressive than the Moto X, because it features a 5.2" screen, 2 GB RAM, quad core processor, and 32 GB of internal memory. Several refurbished versions can be found on eBay for about $150, with a new LG G2 phone at closer to $300 (still not a bad deal for the specs). The LG Ultimate 2 continues to be one of the best phones available from Tracfone to use with their prepaid service. It has a 4.5" screen, dual core processor and about 4GB of usable internal memory. You can see our complete analysis by visiting our LG Ultimate 2 Review. This deal features the LG Ultimate 2 plus a 1 Year/400 Minute card (worth $100) for just $129. This deal includes a 1 Year/400 Minute card (worth $100) and is only $99, making the phone actually free. The phone runs Android 4.4, and is a great device at a great price. Well that covers some of the latest deals and discounts we have found. If you find something good, share in the comments below! Do you run out of Text Messages quickly? Well Tracfone Recently Added a Text Card to their prepaid options. Find out how much it costs, and if it is really a good deal in our blog post. Thanks for visiting! And don't forget we're on Facebook too! 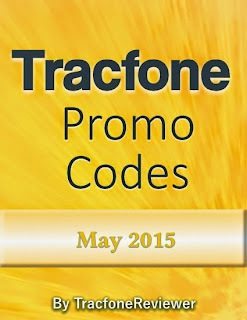 Every month TracfoneReviewer collects the latest promotional codes for Tracfone and shares them here on the blog. We put only the codes that are working for May 2015 here for your convenience. We hope you enjoy the free minutes! Tracfone Wireless is a company that offers both prepaid cell phone service, and cell phones to use with their networks. You can purchase a phone and prepaid card with airtime for under $40 total, making them a very reasonable choice if you need cell service. When adding an airtime card to your phone, you can also enter a promotional code to get additional minutes for free! These codes are provided by Tracfone, and we share the latest with you here. View our full list of codes, which includes these and many more, on our main Tracfone Promo Code page. To get the free minutes, all you have to do is include the 5 digit code at the appropriate place when typing in the airtime pin. There are places for the code both if you're entering it online, or on your phone. You can call Tracfone as well. These free minute codes won't work on Android smartphones, such as the LG Ultimate 2. These phones provide great value in other ways, because of their extra features. 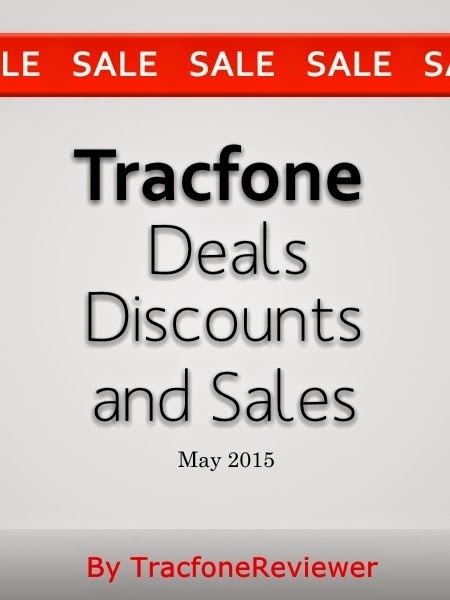 Take a look at all of Tracfone's smartphones on our Android Tracfone List. And Tracfone also recently made it possible to bring your own 4G LTE capable device to use with their inexpensive service. Learn more by visiting our BYOP page. Now, let's get to the promo codes for May! Use these codes when adding minutes to your Tracfone device. Codes are used for a specific card amount, or any higher value (for example, a code for the 60 minute card will also work for the 120, 200, 450 minute cards etc.). 1 Year/400 Minute Card use code 79213 or 36212 to get 250 minutes for free! Thanks for visiting, and we hope these codes work for you! We share them here and keep it simple with no extra clicking required to see the code for your convenience! Share in the comments below which code you used, and how it worked. We also provide lots of other information about Tracfone, including Cell Phone Reviews for many of their phones. Tracfone also recently added a Text Airtime Card to their prepaid options. Learn all about Adding Extra Texts to your Tracfone device on our blog post. Texts can only be added to smartphones. Keep up with the latest news we share by following us on Facebook with a helpful and growing community.